Get that killer style with this bodycon dress. 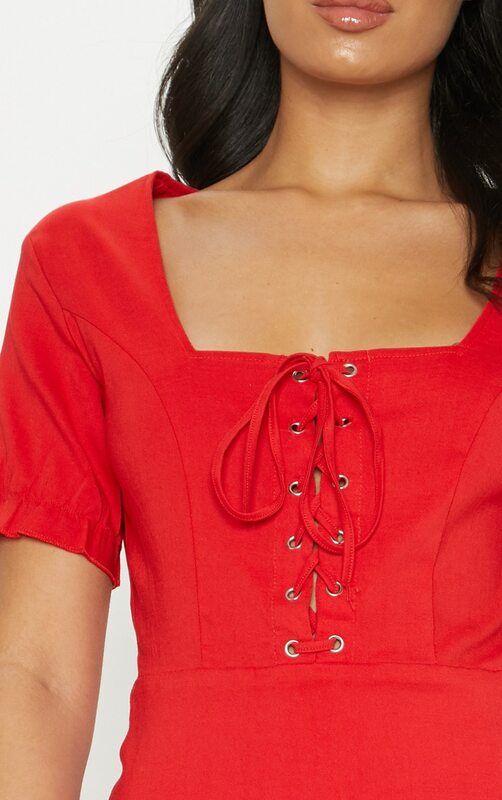 Featuring a lace-up detail with ruched short sleeves and a square neckline. 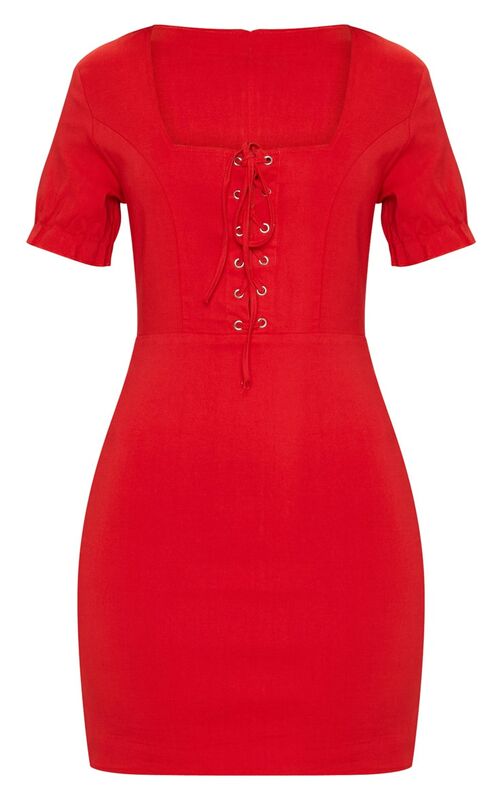 We love this teamed with red strappy heels for a fierce look you can't go wrong.